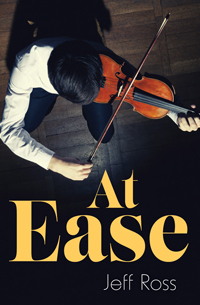 At fifteen, Will already knows he wants to spend his life playing classical violin. And when he is invited to take part in a summer program for young musicians, he realizes it is a chance to make his dream a reality. But years of playing only for Mr. Jorgensen, his elderly neighbor and mentor, haven’t prepared Will for what will happen when he steps onto the stage. He never expected the self-doubt that takes over his thoughts, or the fear of failure that makes his hands shake and his heart race. What happens when the one thing you need to achieve your dreams is something you find utterly terrifying? 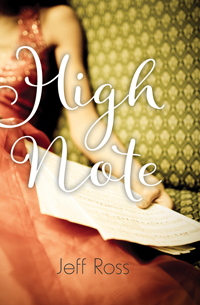 "This entry in the Orca Limelights series should find an audience with those in the performing arts, especially fans of Sara Zarr’s The Lucy Variations (2013), Gayle Forman’s If I Stay (2009), and other tales of musical prodigies." "Ross has pulled together a novel that takes the reader on an exciting journey even though a large part of the action takes place inside a classrooms and rehearsal studios so it would appeal to fans of musical study and beyond." "Insightful and utterly readable...[thanks to] Ross’s knowledge of classical music as well as his ear for current mores and nuances. Each of the protégés has some modern quirk that makes them very real...[The] characters are drawn subtly and with a light touch. It makes for a well-coordinated performance."